Did You Miss These Most Read Articles for the Past Week Ending March 30th? So says Lorimer Wilson, editor of www.munKNEE.com (Your Key to Making Money!). This paragraph must be included in any article re-posting to avoid copyright infringement. You are busy so save time by just reading those that interest you most and Sign-up for Automatic Receipt of Articles as they get posted on munKNEE.com – Your Key to Making Money! We all live extremely busy lives and often fail to keep up with the most informative articles posted on the internet. Below are links, with introductory paragraphs, to 20 very informative articles as posted on www.FinancialArticleSummariesToday.com (an associate site). 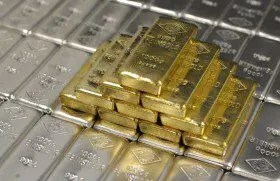 The articles are related to Investing (gold/silver, the stock market, crude oil), the Economy (global/US, unemployment, debt and the money system) and Personal Finance (retirement, extra income and employment opportunities). You’re busy so just click on the title of the articles of interest to read them in their entirety. Next Believe It Or Not, Dramatic Changes to U.S. Governship & Personal Conduct Coming by Year-end!